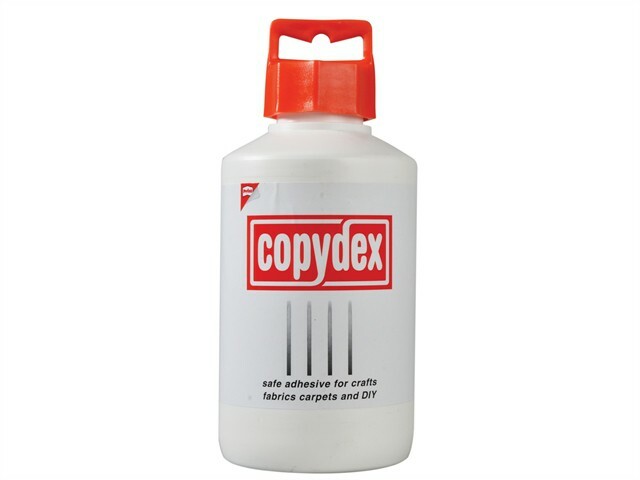 Copydex adhesive can be used for repairing carpets, matting, clothing, upholstery and many other fabrics as well as general home use. Safe and easy-to-use, solvent-free. Ideal for: Paper, card, wood, plastics, metal, cork, fabric, carpets, leather, canvas and many more materials. Available in tubes and bottles.